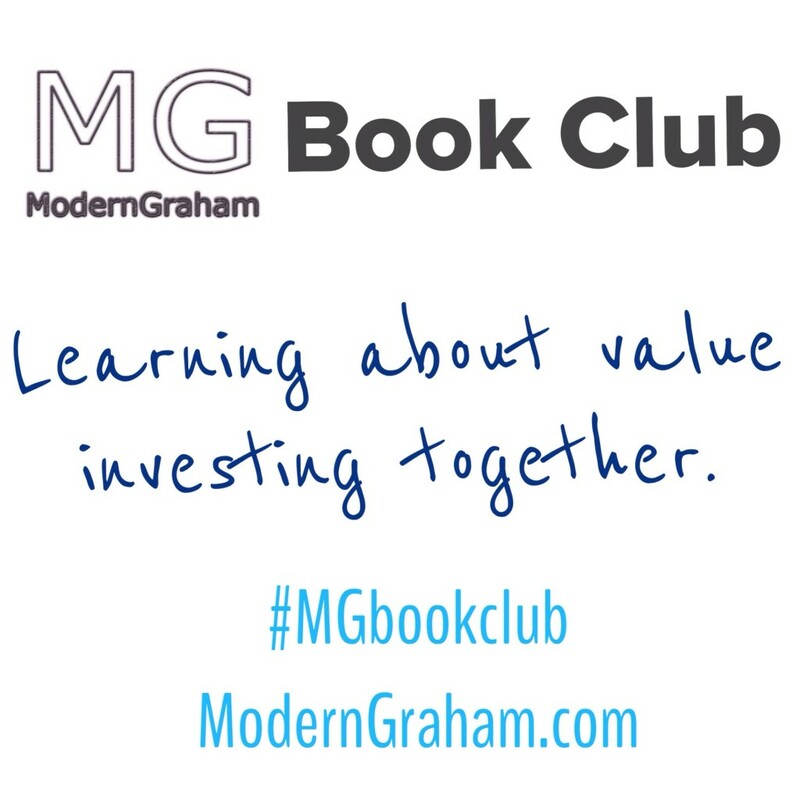 This is the eighth discussion of the ModernGraham Book Club’s reading of The Intelligent Investor by Benjamin Graham (affiliate link). In last week’s discussion, we discussed the seventh chapter, which reviewed the types of investments Enterprising Investors should seek out. This week we will discuss the eighth chapter, which is titled “The Investor and Market Fluctuations.” I encourage you to purchase the book (preferably by clicking the link to Amazon, because a purchase through that link will help support the club) and join in with us as we read through a chapter each week; however, even if you don’t have the book I think you will find our discussions to be very useful in your own understanding of value investing, and you can still bring a lot to the discussion from your own experiences as an investor. Whether this is the first day you’ve ever been interested in investing, or you have decades of experience with the stock market, we’d love to hear your thoughts in the comments below! This chapter is the golden gift from Graham to the reader and includes the greatest explanation of how an investor should view the market, the parable of Mr. Market. In order to build up to the Mr. Market story, Graham delves into some detail about speculating and forecasting. Generally, it is key to remember that the Intelligent Investor will avoid speculating at all costs, though one must admit that “it is easy for [Graham] to tell [us] not to speculate; the hard thing will be for [us] to follow this advice.” It is so incredibly easy to allow your emotions to enter into your investment decisions, or to get wrapped up in the wave of the market. I think that if you as a reader will only glean a single piece of advice or lesson from Graham, it should be to strive to keep yourself from speculating, and this chapter is all about that struggle that all investors face. Graham artfully explains the flaws in attempting to time the market through forecasting, as it is impossible for the general public to ever profit from following forecasts. “For who will buy when the general public, at a given signal, ruses to sell out at a profit?” In other words, if all one had to do when investing was to look at the market’s movements for signals, then as soon as the signals occur no one would be on the other side of the transaction. If the signal said to buy, no one would want to sell. If it said to sell, no one would buy. As a result, the only opportunity for long-term success in the market is to strive to buy if the price is lower than the value and hold the company for the return through dividends or general growth over time, with the possibility of selling if the price becomes higher than the value. But again, the key requirement is that the transaction decision is made based on the difference between price and intrinsic value, not the difference between the price yesterday and the price today. This chapter is absolutely my favorite thus far as Graham strategically lays out his argument while providing simple and effective means to explain it. While Graham continues to demonstrate the issues with emotional purchasing and how market prices do not necessarily reflect real value, he also gives his famous parable of “Mr. Market”, the manic depressive business partner who gives a vastly changing daily account of what the company is worth. What makes this parable so successful is that we all have people in our lives whose advice we routinely accept graciously, yet kindly ignore. Many of Ben and my friends have recently become parents and one complaint I often hear from them is that everyone is always trying to tell them how best to raise their baby, frequently with conflicting opinions, suggestions, and views. New parents quickly learn to ignore the recurrent chatter of advice streaming their way and instead focus on what it best for themselves and their children. This set of circumstances can be applied to almost all aspects of our lives, from our overly nosy coworkers to the store clerks trying to guide your purchases. Throughout our lives we learn how to filter out these comments and listen to our own voices, and yet, we rarely do this with stocks. Instead, we find ourselves being wrapped up in hype and ever changing opinions, getting lost in a sea of information and conflicting opinions. For me, this is why the parable of “Mr. Market” is so important to investors as it reminds us that we can apply the skills we’ve already spent our lifetime developing to investing as well. While the parable of “Mr. Market” is undoubtedly one of the most famous aspects of the entire book, this chapter contains a wealth of other information such as my favorite quote of “If you want to speculate do so with your eyes open.” As Zweig mentions in the commentary, human nature is speculative as we search for trends, even when there are none to be found. Graham acknowledges that we might find ourselves desiring to be speculative, but we need to be self-aware of what we are doing. A similar concept is explained through Graham’s explanation of the psychological advantage brought by not being able to check a quoted market as it allows us to delude ourselves into believing that we haven’t truly lost any value as there is nothing to prove us wrong. By being self-aware and keeping our emotions in check, we have a better chance of beating the market then by entering into it eyes closed. How have you seen the parable of Mr. Market play out in your experience? Any examples of a company that has been grossly mispriced at some point? On page 192 Graham notes that as investing formulas have gained popularity their reliability dwindles due to new market conditions and the widespread use of the formula undermining its previously held advantage. In what ways has Graham’s formula lost reliability? How has it managed to stay useful? Graham mentions that one issue with the formula plans is that they leave the potential for the market to “run away” from investors. What steps do you take to ensure that the market doesn’t run away from you, while also protecting yourself from a steep drop in prices such as the bear market of the early 2000s? Graham seems to advocate that the Intelligent Investor find a way to have “something to do” as an outlet of pent-up energy as the market advances, rather than allowing oneself to become entangled with the market movements. Do you have any example of what you could do in that regard? A simple summary of Chapter 8 regarding stocks is Graham’s statement: “Basically, price fluctuations (of/in the market) have only one significant meaning for the true investor. They provide him with the opportunity to buy wisely when stocks fall sharply and to sell wisely when they advance a great deal.” He does not consider such to be “speculation.” He eschews “forecasting” and “formula plans” and believes “true investors” must understand the value of a stock rather than rely on “Mr. Market” (or the price of a stock, and we might add commentators) to determine when to buy or when to sell. Emotions, greed, fear cause the price of a stock to fluctuate, as for example today with Tesla, Apple, Starbucks, etc. Realizing his approach may be boring at times, he offers no adequate suggestions for “something to do.” If he were writing today, would he suggest learning technological indicators or perhaps options for 1%-5% of one’s portfolio, or would he consider such too speculative?. “Basically, price fluctuations have only one significant meaning for the true investor. They provide him with an opportunity to buy wisely when prices fall sharply and to sell wisely when they advance a great deal. At other times he will do better if he forgets about the stock market and pays attention to his dividend returns and to the operating results of his companies.” This is probable the single most important portfolio management imperative in the entire book. My portfolio of individual stocks consist to a large degree of stocks that sold at fireside prices in 08/09. I have picked some others up along the way selling at prices discounted significantly to DCF and Graham number (22.5) valuations. One in particular, Kapstone Paper (KS), climbed over 600% from my purchase price recently and I knew I should taken profits but I held on because I think the company has much more profitable growing to do. Now I am only up 450%. I could have sold and bought back in but hind sight is always 20/20 which is what tricks many of us into believing we can time the market. I will hold on to KS until I see no more growth potential in the company. I don’t think Graham’s formula can loose reliability because it is not based solely on generic indicators but on demonstrated ability of a company to consistently produce and increase profit using conservative business practices. These are traits of successful businesses and successful business practices are what make money; that never goes out of style. I don’t need to protect myself from steep drops in stock prices. I buy growing profitable businesses at a discount and hold on as long as they remain growing and profitable. If a stock gets significantly overvalued I may sell it, but only if there is an opportunity to buy another quality company selling a a considerable discount. It matters not what the myopic market thinks about a company’s value at any particular point in time. What matters is that company management continues to successfully execute previously demonstrated winning business practices. Over time that is always a profitable strategy; even as the market runs around like a chicken with its head cut off. If I needed to sell stocks everyday I would not consider stocks as the right investment for me to be in and because I don’t need to sell stocks every day I am able to focus on what is important – company management, how they are doing and where they are headed. 5. Graham seems to advocate that the Intelligent Investor find a way to have “something to do” as an outlet of pent-up energy as the market advances, rather than allowing oneself to become entangled with the market movements. Do you have any example of what you could do in that regard? I daily read business news that is directly related to the stocks I own. Then I have some hobbies to keep me active and healthy. No point in building wealth I can’t enjoy. 6. What did you think of the chapter overall? As always well worth my time reading and applying to my business (investment) decisions. 5. Graham seems to advocate that the Intelligent Investor find a way to have “something to do” as an outlet of pent-up energy as the market advances, rather than allowing oneself to become entangled with the market movements. Do you have any example of what you could do in that regard? I daily read business news that is directly related to the stocks I own. I look for ways to serve my God, family, and community; and then I have some hobbies to keep me active and healthy. No point in building wealth I can’t share and enjoy. So here it is, the much talked about “Chapter 8″. Read it, learn from it, and get back to it every now and then. The AXP price per share took a dive from $65 in April 2007 to $9.71 in June 2009, a fall of 85%. Having reached this low the share price started to climb up to where it’s trading today, at a price per share of $86, a gain of 686%. If I had had a better understanding of the business I might have had the courage to buy. There are many quotes that summarize Grahams thinking. I like the following quotes: “There is no basis in either logic or in experience for assuming that any typical or average investor can anticipate market movements more successfully than the general public…” and “The investor’s primary interest lies in acquiring and holding suitable securities at suitable prices.” There are too many important quotes in this chapter to mention in this post, and these two ring most salient to me now. 2)	How have you seen the parable of Mr. Market play out in your own experience? Any examples of a company that has been grossly mispriced at some point? At the height of the recession the major banks all reflected great prices, and the media made them all looked like they were swirling the toilet bowl. In reality, we all new that Wells Fargo, BofA, Chase, and even Citi would not be let to fail. All of them have returned several times since the bottom. I am sure they would not have passed the test of the defensive investor at the bottom, and they would qualify as companies that fell out of popularity. Today a few of the main auto companies come to mind based on bad relative recent news or effects of the recession such as Ford and Toyota. Toyota is not the ideal company based on Graham criteria of a foreign company, but the earnings record is great minus the recession. It is sufficiently large. The current ratio is 1.06, so it is not quite as good as desired – fail. EPSms is $150.97 and the no growth value is $1283 and the last price per share was $108 – pass. Current assets $13,784,890 vs Total Debt of $14,131,780 – pass. They have paid a consistent dividend for years with an average yield of 1.5% – pass but they might not pay the current dividend. Book value per share is $113.95 based on Yahoo and $116.35 on Value Line – pass. It sounds like it is a good company for the enterprising investor to explore further. What do you all think? Do my numbers seem off? I used several sources (yahoo and Value Line) but I did not specifically dig in EDGAR to produce these. 3)	On page 192 Graham notes that as investing formulas have gained popularity their reliability dwindles due to new market conditions and the widespread use of the formula undermining its previously held advantage. In what ways has Graham’s formula lost reliability? How has it managed to stay useful? Graham has a time tested formula, and it has not lost reliability. It is straight forward and clear. Don’t over pay for a company based on objective measures of value. 4)	Graham mentions that one issue with the formula plans is that they leave the potential for the market to “run away” from investors. What steps do you take to ensure that the market doesn’t run away from you, while also protecting yourself from a steep drop in prices such as the bear market of the early 2000s? I do try to keep a balance in my portfolio and dollar cost average my purchases. I buy and hold for the long run. I strive to keep a balance of bonds and stocks; hence, when I re-balance I have assets at attractive prices that I can move to cheaper priced assets. 5)	Graham seems to advocate that the Intelligent Investor find a way to have “something to do” as an outlet of pent-up energy as the market advances, rather than allowing oneself to become entangled with the market movements. Do you have any example of what you could do in that regard? I do not listen and worry about the broad market movements. I buy ETF’s and shares of individual companies that were priced below intrinsic value. I read the business news because it is interesting, and it is part of my job. I enjoyed this chapter. It has many great points to keep in mind. As a baby boomer, long aware of the market, I have observed many market and business cycles. Market go and come down, then go up again. I remember Adams golf being severly under priced. It sold for $1.92 which was below NCAV. I recommended it to my class of golfers. Some bought and 2 years later it was bought by a larger firm for $10. I think Graham is still relevent today. To outgain the market averages we need to separate ourselves by doing something different. I like to use Graham’s formulas but with smaller companies or foreign firms that are not covered by analyst. 4.Graham mentions that one issue with the formula plans is that they leave the potential for the market to “run away” from investors. What steps do you take to ensure that the market doesn’t run away from you, while also protecting yourself from a steep drop in prices such as the bear market of the early 2000s? I think if you coninue to invest in value where you have a large margin of safety you should not care what markets are doing. An investor should stay focused on the performance of his/her companies. The price of the stocks should only be a concern with regard to buying at a low and selling at a high.